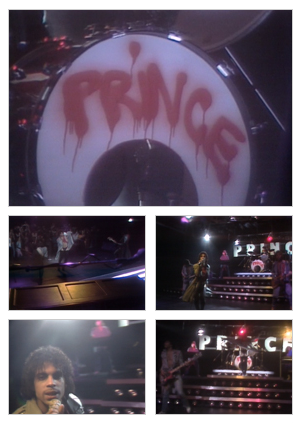 Dirty Mind is the fourth Prince video to have been released for broadcast to promote the release of a single. Similar to the Uptown visual promo, this video shows Prince and his band lip-syncing to a live performance. The band plays on stripped down version of the Dirty Mind Tour concert stage, that was used for both this video and Uptown, shot the same day. The shooting took place in Los Angeles, California on 24 October 1980. Of note the video features the last appearance of Andre Cymone in a Prince video. The shoot was done with a studio audience that was made aware of the 2 PM shoot via the means of flyers distributed in the neighborhood. This page was last modified on 3 September 2018, at 17:22.